We are often asked by patients if we are a ‘Preferred Provider’ or if we will ever become one. So we thought that it is a great time to openly discuss the reasons why we are not. 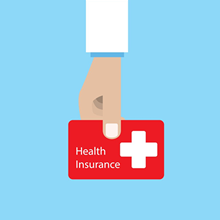 Preferred Providers are not preferred by health funds as an acknowledgement of the quality of the dentist, but have a financial agreement between the dentist and the insurer enabling both parties to earn more money. Preferred Provider dentists are contracted to private health insurance companies to offer a set fee for services. In return for this, the insurance companies will ‘recommend’ the Preferred Provider dentists or a specific dental clinic to their policyholders. This agreement, or business structure allows the Preferred Provider dentist to obtain more patients while the insurance company can pay less in benefits to their customer – because of set fee framework. Some private health fund insurers actually own the practices that are Preferred Providers! Many health professional and government officials believe this creates a clear conflict of interest with the insurer holding so much power over their customer’s health and information whilst making money at every step. So what are the benefits of Tooth Dental not being a ‘Preferred Provider’? Firstly, we think it makes for better dentists. Our dentists have worked extensively in both practices that are preferred providers and non-preferred providers. This has afforded them the opportunity to really see the difference between the two systems. Our first priority is you, our patient, not a big insurance company. We spend the time to get to know you, your family, your health and your mouth. There are no KPI business targets influencing our dentists and how they treat our patients. You can be confident that we are recommending the best treatment for you. It may mean that your treatment with us is not ‘gap free’, but good quality health care does not mean that it needs to be expensive either. Our fees are set with the guidance of the Australian Dental Association average fee report. We only use the highest of quality materials, spend the time required to do high quality work and all our lab work is all made locally, by small businesses in Brisbane – no overseas labs! Best of all, our dentists are real people that will treat you like they would treat their own family. You’ll never be treated like a number and we want to make patients for life. So, we are not a preferred provider because we put our patients and the quality of care we provide first. Your health is not for profit. Health Voices – Is your private health insurance worth it for dental care? Or is it Time2Switch? Independent Dental Network – Just what is a Preferred Provider?